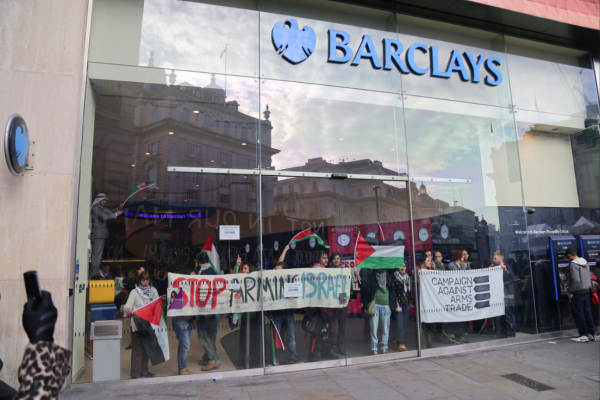 UK high street bank Barclays is no longer listed as a shareholder in Elbit Systems [PDF], the major Israeli military company that manufactures drones used in Israel’s attacks on Palestinians and helps Israel build its illegal Apartheid wall. A report issued by the National Office for the Defense of Land and Resistance of Settlement on Sunday pointed out the swift pace along which the boycott-of-Israel campaign has been proceeding over the past few days, both nationally and internationally. The office said the Palestinian Ministry of Economy refused to take delivery of a number of trucks loaded with Israeli products. The Palestinian Medical Examination Union also decided to stop the transfer of medical tests to Israeli labs and conduct them within Palestinian laboratories in addition to boycotting Israeli medical products. The move comes in harmony with the decisions of the Supreme National Committee and the popular movement for the boycott of Israel. On the international scale, 16 European foreign ministries pushed for the enactment of a law to ensure the clear labeling of goods produced in illegal Israeli settlements and sold across Europe. The initiative was led by Belgian Foreign Minister Didier Reynders and was supported by ministers from the UK, France, Spain, Denmark, Ireland, Croatia, Malta, the Netherlands, Sweden, Portugal, Slovenia, Italy, Luxembourg, Finland, and Austria. The report further cited the decision by the French corporate giant Veolia to sell off nearly all of its business activity in Israel as a huge victory for the global Boycott, Divestment and Sanctions (BDS) movement. The sale follows a worldwide campaign against the company’s role in illegal Israeli settlements that cost the firm billions of dollars of lost contracts. The Brussels Court of First Instance held the first hearing of a lawsuit brought against the Belgian government to prevent the entry and selling of Israeli goods in Belgium, the report added. The BDS-South Africa announced that over 20 South African companies have terminated their contracts with G4S Security over its involvement in Israeli prisons and human rights abuses, the office said. After FIFA agrees to discuss Palestinian Football Association's request to suspend Israel from league at congress on May 29, CEO and President of Israeli Football Association head to Switzerland to prevent move. The Israelis and Palestinians have once again taken politics to the soccer field, with the head of Israel's football association locking horns with UEFA leadership over a Palestinian demand to ban Israel. 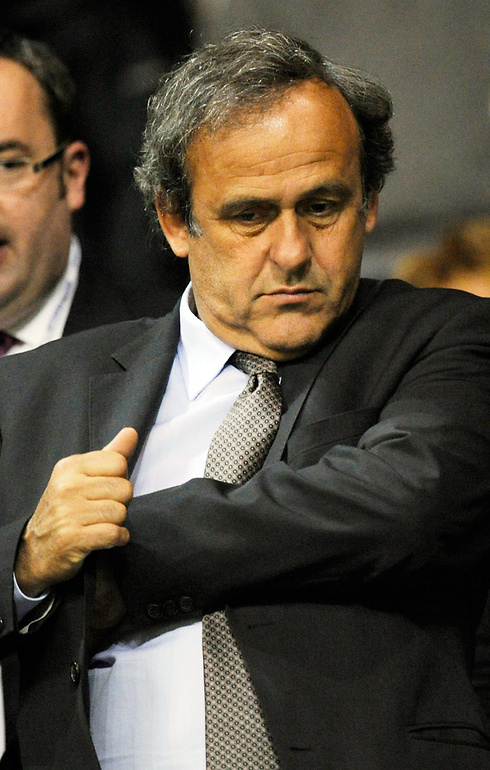 Football Association Chairman Ofer Eini and CEO Rotem Kamer will head to Switzerland on Monday to meet with UEFA President Michel Platini. Eini and Kamer's departure comes after FIFA decided to accept the Palestinians' request to discuss the option of suspending Israel from the international soccer organization during a FIFA congress set to be held on May 29. Attorney Efraim Barak will also join Eini and Kamer on their trip to Switzerland – Barak is the Israeli Football Association's legal advisor and has rich experience in international sports. Next week, Eini and Kamer will set out to meet the president of FIFA, Sepp Blatter, in order to examine ways to prevent the FIFA congress from voting on suspending Israel from the league or find a way to secure enough votes to delay the Palestinian request. Eini says: "The Palestinian request is a blatant attempt to mix sports with politics and it comes despite it being clear that the Israeli union did everything it could in order to enable proper athletic life in the PA. With all due respect, we do not set international policy or interfere with security considerations." "Instead using soccer to bridge between Israel and the PA, which could contribute to rapprochement between the nations, the Palestinian union is requesting to operate by way of boycotts and sanctions which will only exacerbate the situation. The threat on Israeli soccer is real and immediate. We are trying to prevent a situation where a vote will take place in the congress on the basis of the inappropriate request. If this will not succeed – we will work to recruit enough people to oppose so that the request does not pass," says Eini. Eini also added that the FIFA President Sepp Blatter and President of the UEFA Michel Platini "are true friends of Israeli soccer and I am convinced that they will do everything in order to prevent the suspension of Israel." The Palestinian Union has previously requested that FIFA suspend Israel from any activity related to the organization after it claimed that the IDF and Israel did not allow the entrance of athletes from Arab nations to enter the Palestinian Authority as well as movement of athletes from the West Bank to Gaza. Over 20 South African businesses have terminated their contracts with G4S Security over its involvement in Israeli prisons and human rights abuses. 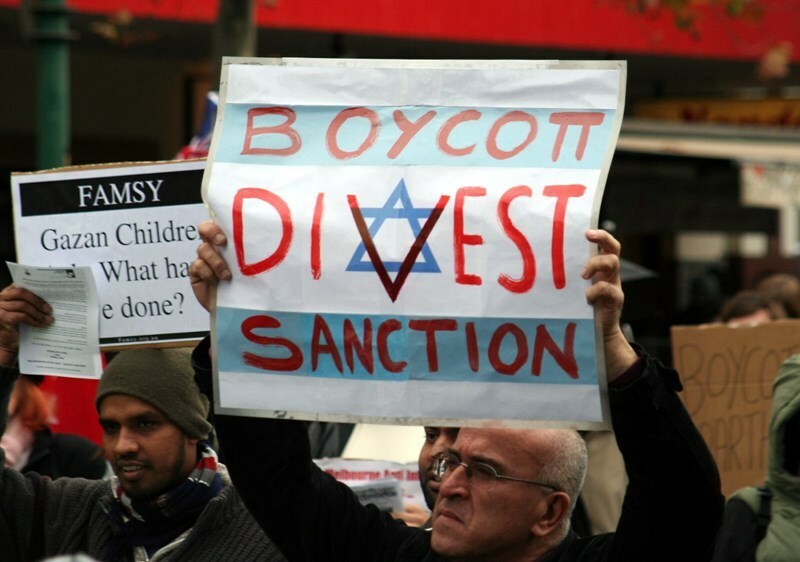 The SA businesses terminated their contracts, totalling more than R7 million ($500,000) per year, after approached by representatives of the human rights and Palestine solidarity organisation BDS South Africa as well as the KZN Palestine Solidarity Forum. BDS South Africa makes this announcement on the eve of the international Palestine prisoners day due to be commemorated on 17 April. In 2007 G4S was contracted to provide and maintain Israeli prisons, torture centres and detention facilities. In 2010 Palestinian prisoners and prisoner support organziations called for a boycott of G4S as part of the larger international boycott, divestment and sanctions (BDS) against Israel campaign. Last year the Methodist Church together with Amnesty International and the European Union were among some of the organisations that terminated their contracts with G4S. In June 2014, Bill Gates withdrew his R1.9 billion stake from G4S after being called on by BDS South Africa and the larger BDS movement. Locally in South Africa the Trauma Centre in Cape Town ended its relations with G4S in 2013. This was followed by South Africa’s ruling party, the ANC, in November 2014 resolving that G4S (among other companies that do business in the Israeli occupied territories) be excluded from doing business with the South African Government. The over R7 million worth of cancelled G4S Security contracts include contracts for more than 140 sites across the country ranging from restaurants, factories, supermarkets and other stores. Currently, there are over 6000 Palestinians imprisoned by Israel; 454 of them are being held under Israel’s “administrative detention” (Apartheid South Africa’s “Detention Without Trial”) and 163 of them are children. In the last 11 years alone, more than 7500 Palestinian children have been detained in Israeli prisons and detention facilities (including being held in solitary confinement) with Muhammad Daoud Dirbas, at the age of six, being the youngest Palestinian child to have been detained by Israeli soldiers. Last year Ahmed Kathrada together with Archbishop Desmond Tutu, Novelist Alice Walker; Linguist, philosopher and author Noam Chomsky; Author and Activist Angela Davis; Poet, painter and former South African political prisoner Breyten Breytenbach; Actor Miriam Margolyes; Author John Berger; and various others wrote an open letter to the Management of G4S calling on the company to end its Israeli contracts including those contracts with Israeli prisons holding Palestinian political prisoners. Adv. Gaby Lasky: “Rejection of the appeal against the boycott law changes the basic constitutional rules in Israel. Boycott of cottage cheese is allowed, but not if it settler-made cottage cheese” . On April 15th the Supreme Court in Jerusalem rejected the appeal against the “Anti Boycott Law” which was lodged by former Knesset Member Uri Avnery, Gush Shalom and other Israeli peace and human rights groups, and keeping in force the law enacted several years by the right-wing majority in the Knesset - criminalizing any call for a boycott of Israel and defining a boycott of settlement products as also being “a boycott of Israel”. "This is a deplorable ruling with far-reaching implications” said Adv. Gaby Lasky, who represented Gush Shalom in this appeal. “The Justices effectively changed the basic Israeli constitutional law as we had known them, giving the interest of maintaining settlements in the Occupied Territories a precedence over the fundamental right of all citizens to Freedom of Political Expression. In fact, the Supreme Court has been captured by the political precepts of anti-democratic right wingers, giving its stamp of approval to a piece of legislation designed to gag one side of the political spectrum. " Lasky went on to say: "This is a ruling which should have been simple and straightforward. The court should have come down on the side of the Freedom of Expression - especially since the Supreme Court itself had previously laid down clear limits on what are the grounds for infringing that basic freedom. A clear and present threat to public order or national security, and a prohibition upon explicit calls for violence or racism – hitherto, these were the sole grounds which might justify an infringement of Freedom of Expression. With the new ruling, the court gave in to an oppressive parliamentary majority, which invented new and unacceptable grounds for striking at the Freedom of Expression. 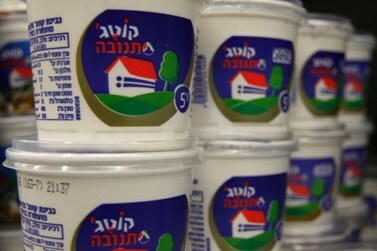 "Under the legal situation created in the State of Israel by the Anti Boycott Law and now ratified by the Supreme Court, it is acceptable to call for a boycott of cottage cheese due to its high price - but absolutely forbidden to call for a boycott of the same cheese because it is produced in a settlement" said Lasky. (The reference is to the “Cottage Cheese Boycott Campaign” which had touched off the mass Social Protest Movement in 2011 Israel). Gush Shalom, the Israeli Peace Bloc, which had been the first to lodge the above appeal, expressed its disappointment with the deplorable ruling, which keeps in place the ban imposed by the right-wing majority in the Knesset – making any citizen or group calling for the boycott of settlements and their products liable to severe penalties. The Supreme Court’s ruling is particularly disturbing and ominous at this juncture – exactly when the agenda of Netanyahu’s talks with the extreme-right parties on forming a new governing coalition includes proposals for new draconian measures, aimed at dealing devastating blows to the Supreme Court itself as well as to the Freedom of Expression and Assembly in Israel. It is unacceptable to have a law which states that “a boycott of an Israeli-controlled territory” is tantamount to a boycott of Israel itself. There is an essential difference between the legitimate sovereign territory of Israel and the territories occupied in 1967 - which are not a part of Israel under International Law, nor indeed under Israel’s own laws. The building of settlements in the Occupied Territories is a violation of International Law. The main purpose for which these settlements are established is to make it impossible for the Palestinians to ever create their own independent state - thereby also making it impossible for Israel’s citizens to ever reach peace with their neighbors. It is the right of those who oppose the settlements not to consume the products produced there, not to fund with their money to a settlement project to which they are strongly opposed. It is the right of activists to make a loud and clear call for a boycott of settlement products. It is the right of such organizations as Gush Shalom to compile a detailed list of settlement products, post it for the broadest public view, spread it at the entrances to supermarkets and call upon customers not to consume the products appearing on it. Also at the present moment, in the aftermath of the Supreme Court ruling, we reiterate and reaffirm our view that this right is valid. In recent years, Gush Shalom had been forced to conduct activities with the Anti Boycott Law as a Damocles’ Sword ever hanging overhead. We are sorry to find the Justices ruling that this sword would continue to hanging over our heads. 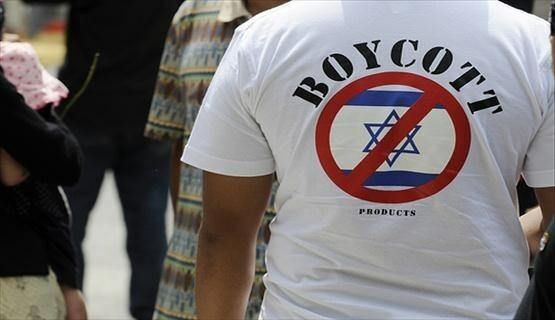 It should be noted that, regardless of the whatever any of us does or desires, the global movement to boycott Israel (BDS) is gathering an increasing momentum, due to the policy of occupation and oppression enacted by the government of Israel. Many people around the world - including many Jews – have come to feel that Israel's actions in recent years justify the imposition of a boycott. The only real way for Israel to deal with this boycott campaign is to change its policy in the Occupied Territories, which pours ever more fuel on the boycott conflagration. Most such boycotters are abroad, out of reach of the Israeli law. Punitive measures against those who are subject to Israeli law would do nothing but exacerbate the situation. 'Some European nations now want to put a yellow patch on Israeli products,' foreign minister official says after EU foreign ministers lead bid to mark West Bank-made products as long as peace process remains stalled. Israeli officials fired back at the call by 16 European foreign minister to mark products made in the West Bank's settlements, evoking a Holocaust-era comparisons and claiming the EU was blaming Israel for the stalemate in peace talks. "It seems some European nations now want to put a yellow patch on Israeli products," a foreign ministry official said. "We know that what begins as marking Israeli products, quickly deteriorates into an overall boycott of Israeli goods," they said. The news of the letter, signed by 16 out 28 EU foreign ministers, broke Thursday and gained almost across the board criticism from Israeli politicians. In the letter, the ministers called on the EU's foreign policy chief, Federica Mogherini, to advance a proposal to mark products made in West Bank settlements and assure "correct and coherent implementation of EU labeling legislation." The push by Belgian Foreign Minister Didier Reynders was supported by the top diplomats of the UK, France, Spain, Denmark, Ireland, Croatia, Malta, the Netherlands, Sweden, Portugal, Slovenia, Italy, Luxembourg, Finland, and Austria. Israel's Energy Minister Silvan Shalom slammed the move as counter-productive, saying they do little to promote peace between Israel and the Palestinians. According to him, "such moves began a decade ago and have achieved little." 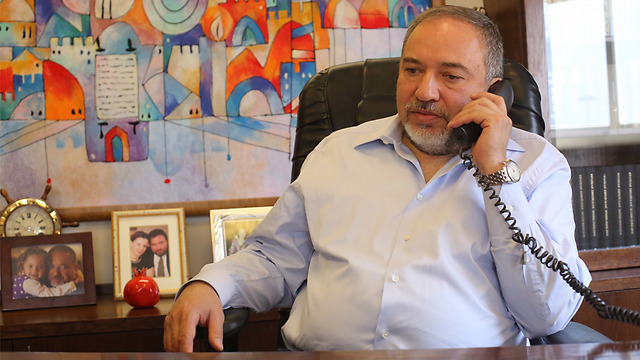 Shalom further told Israeli Radio that the move placed on the onus of the stalemate in peace talks on Israel and not the Palestinians. The center-left also had little praise for the initiative, but saying it was a response to the current government's reluctance to either move forward with the two-state solution or present an alternative. "The Europeans have had enough with Israel jumping through hoops just not to implement the two state solution without outline an alternative policy, the Zionist Union's MK Nahman Shai said. After praising Mogherini for renewing the EU's commitment to the Middle East peace process, the letter draws the foreign policy chief's attention to a similar letter in 2013 to her predecessor, insisting the implementation of the union's legislation was an important component of the Mideast policy. "Following the public commitment made by the Council in May and December 2012 and more recently in November 2014, we remain of the view that this is an important step in the full implementation of EU longstanding policy, in relation to the preservation of the two-state solution," the foreign ministers wrote in the letter. They stressed that "European consumers must indeed have confidence in knowing the origin of goods they are purchasing. Green Line Israel and Palestinian producers will benefit from this." Currently, only a handful of European Union nations have ordered their supermarkets to mark products made in Israeli settlements. As mentioned in the letter, the demand for a unified European policy on the labeling of West Bank goods had been raised several times in recent years. The aforementioned attempt in 2013 – submitted by 13 foreign ministers to Catherine Ashton – was blocked by US Secretary of State John Kerry, out of concern it would harm his efforts to renew the negotiations between Israeli and Palestinians. In letter to Federica Mogherini, 16 of Europe's top diplomats urge advancement of legislation on marking of Israeli products made in settlements. A majority of European Union foreign ministers called on the EU's foreign policy chief to advance a proposal to mark products made in West Bank settlements. In a letter, the diplomats urged Federica Mogherini to take the lead and assure "correct and coherent implementation of EU labeling legislation." The push by Belgian Foreign Minister Didier Reynders was supported by the top diplomats of the UK, France, Spain, Denmark, Ireland, Croatia, Malta, the Netherlands, Sweden, Portugal, Slovenia, Italy, Luxembourg, Finland, and Austria. Supporters of Israel in the EU – including the foreign ministers of Germany, Poland, Czech Republic, Hungary, Bulgaria, Greece, Cypress, and Romania, among others – did not sign on to the letter. They stressed that "European consumers must indeed have confidence in knowing the origin of goods they are purchasing. 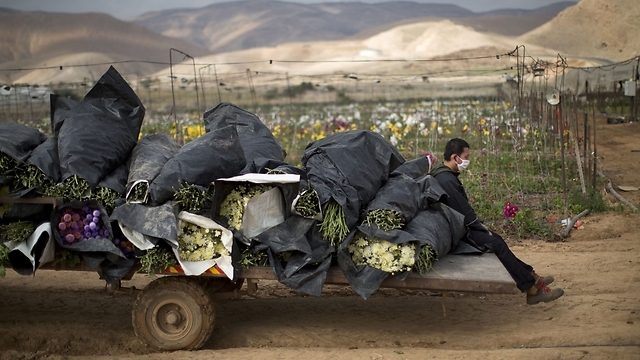 Green Line Israel and Palestinian producers will benefit from this." Currently, only a handful of European Union nations have ordered their supermarkets to mark products made in Israeli settlements. As mentioned in the letter, the demand for a unified European policy on the labeling of West Bank goods had been raised several times in recent years. The aforementioned attempt in 2013 – submitted by 13 foreign ministers to Catherine Ashton – was blocked by US Secretary of State John Kerry, out of concern it would harm his efforts to renew the negotiations between Israeli and Palestinians. Recently, the EU's foreign office in Brussels worked on a proposal to order all 28 union members to mark settlement products. However the implementation was to occur state by state and it was unclear whether there would be a legal enforcement mechanism. The intention, likely, was the symbolic gesture of the labeling guidelines. The Europeans have used the threat of product marking as an ad hoc sanction against the settlement enterprise. Senior officials have said that if the next Israeli government continues construction in the West Bank, the first major decision by the union would include the labeling guidelines. Given the diplomatic freeze between Israel and the Palestinians and the ongoing tension between Jerusalem and Washington, there is considerable doubt the Americans would rush to Israel's defense this time around. Senior officials in the Israeli foreign ministry harshly criticized the letters by the EU diplomats. "It is unclear why European states are discussing restrictions on Israeli products even before a new government is formed. This is unfair conduct." The officials stressed that they warned the Europeans of the slippery slope involved in marking settlement products, which could end in a comprehensive boycott of Israeli goods. "The European consumer will not understand the differences and their psychological response might be to avoid Israeli products." 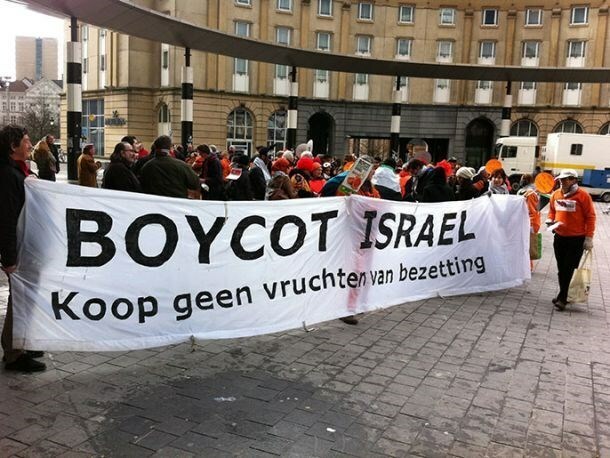 The Brussels Court of First Instance held on Monday the first hearing of a lawsuit brought against the Belgian government to boycott Israeli goods produced in settlements that were constructed on Palestinian lands occupied in 1967. The General Union of Palestinian Communities in Europe pointed out that the hearing was attended by the Belgian Ministers of Economy, Finance and Customs as well as the representative of the Palestinian House in Belgium in addition to Israeli and Belgian businessmen along with a group of attorneys. The Union’s lawyers explained the extent of danger resulting from importing Israeli goods produced by illegal settlements. They confirmed that the Union refuses importing such products based on a previous decision. They emphasized that the Belgian and the European consumers have the right to know the sources of these Israeli products as the European peoples in general refuse supporting Israeli settlements. The Union’s attorneys presented several evidence and legal studies which strengthen their demand of issuing an order to prevent importing Israeli goods produced in Israeli settlements. On the other hand, the Belgian government’s attorneys refused the lawsuit and said the commercial agreements are conducted directly between Israeli and Belgian companies, stressing that the government has no responsibility in this regard. The hearing was concluded by adjourning the trial to May 12 to rule on the lawsuit which was filed in September, 2013. The Brussels Court of First Instance will hold on Monday the first hearing of a lawsuit brought against the Belgian government to prevent the entry and selling of Israeli goods in Belgium. The Head of Palestinian House in Belgium Ramadan Abu Jazar, who is Belgian of Palestinian origin, said in a press statement, that he, in his capacity as Belgian consumer, filed a lawsuit against the Belgian government represented by the Ministers of Economy, Finance and Customs to prevent the entry or selling of Israeli settlement products in Belgium. The Palestinian House in Belgium called on the Palestinian community in the country to attend the first hearing which will be held on Monday morning. The hearing will be followed by a press conference to comment on this scoop event. The statement revealed that the lawsuit was filed in September, 2013. After 18-month-long lawful journey, the first hearing was decided to be held on Monday, April 13. Expatriate Affairs Department at the Palestine Liberation Organization (PLO) hailed the move which could form the first step on the way of prosecuting Israel before international courts especially in terms of Israeli war crimes against the Palestinian people and boycotting products of Israeli settlements established on lands of occupied Palestine. The Palestinian National Initiative movement along with a consortium of official and civil institutions on Saturday called for boycotting companies operating in or acting as intermediaries for projects initiated inside Israeli illegal settlements. The movement stressed in a statement the need to prioritize national interest over the ones pursued by companies that seek profit by means of projects launched inside settlements built at the expense of Palestinians’ own lands. He branded the implementation of similar projects "flagrant violation" of national ethics, international laws, and human rights conventions. He called for a firm official and popular position as regards the boycott-of-Israel campaign, urging the Palestinian companies to show sincere commitment to the resolutions recently drafted by the PLO Central Council to that very end.